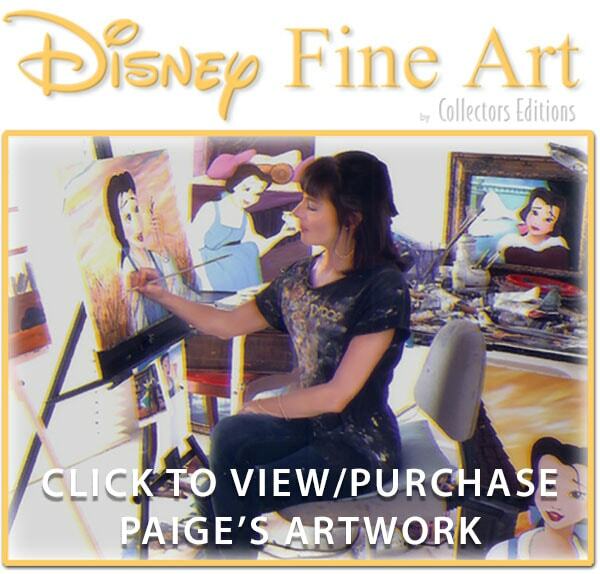 From Disney Princess to Disney Fine Artist, Paige O’Hara has been blessed with a full and exciting career that she continues to enjoy. You may know her best as the voice of Belle in the Oscar winning Disney film classic Beauty and the Beast or you may have seen her on Broadway, or at an appearance with a symphony at Carnegie Hall or the Hollywood Bowl, or in the hit Off Broadway show “Menopause the Musical” in Las Vegas. You may have heard her voice on a Grammy Award winning cast album. Perhaps you know her from Disney Fine Art and have seen or purchased her artwork, which is sold in galleries across the country. Now you can find out all about her in one place, and you can buy her beautiful artwork directly! 2019 is here!!! Off and running - lots of fun stuff coming up! Can't wait to see all you guys again! Happy to say I am returning to Disneyworld for Festival of the Arts again! It was so much fun last year - I will be there for 5 days - so please come by and say hello - I will be at the Disney Fine Art booth afternoons/evenings - and I have some new artwork to share! ​Lots of fan expos this year - starting in Pensacola - then Vancouver - Richmond, Boston, Edmonton, Louisville and Minneapolis are on the schedule - and more to come - I will try to keep you posted as the dates get closer! ​The Little Mermaid Steelbook Collectors Edition (featuring my artwork) is headed to Best Buy Feb 26 - I am so excited - rumor has it there might be a press thing happening - but no dates yet. ​And back on Disney Cruise line for a Trans-Atlantic journey - so looking forward to 2 weeks at sea on that fabulous ship! CLICK HERE TO WATCH A SPECIAL WELCOME VIDEO FROM PAIGE O'HARA!